Stephen Skinner has been interested in magic for as long as he can remember. He wrote, with Francis King, the classic Techniques of High Magic in 1976. He followed that with Oracle of Geomancy and Terrestrial Astrology which has become the standard work on Western divinatory geomancy. Books on Nostradamus and Millennium Prophecies followed in highly illustrated editions. 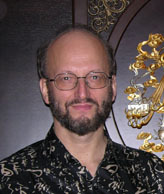 Stephen is also the author of eight books on feng shui, including the first one in English in the 20th century. In the 1970s he was responsible for stimulating interest in John Dee and Enochian magic by publishing the first reprint of Casaubon's True and Faithful Relation of What Passed for Many Yeers between Dr John Dee and some Spirits… which he has republished and a completely re-edited, re-formatted edition as Dr. John Dee's Spiritual Diaries. He also published Dr Donald Laycock's key reference book on the angelic language The Complete Enochian Dictionary. 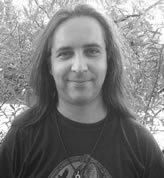 He has been working on the Source Works of Ceremonial Magic series of books on grimoire magic with David Rankine for the last decade. Stephen lives in Singapore. Books by Stephen Skinner include The Complete Magician’s Tables, Agrippa’s Fourth Book of Occult Philosophy, Terrestrial Astrology: Divination by Geomancy, Techniques of High Magic [with Francis King], Magical Diaries of Aleister Crowley [edited], Millennium Prophecies: Apocalypse 2000, Search for Abraxas [with Nevill Drury], Aleister Crowley’s Astrology [edited], Geomancy in Theory and Practice, Nostradamus [with Francis King], Classics of Feng Shui (4 volumes), Guide to the Feng Shui Compass, Oracle of Geomancy, Sacred Geometry, etc, etc. David Rankine has been practising magic for the last 25 years and writing about it for the last 17 years. During that time he has been involved with Golden Dawn, Qabalistic and Thelemic groups, and gives regular talks and workshops around Europe. He was a major contributor to the Enhancing Your Mind, Body, Spirit partwork. David lives in Glastonbury. A Collection of Magical Secrets. 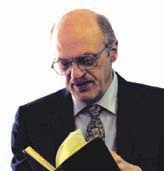 Don Karr (BFA RISD 1974, MFU Cornell 1976) is co-author of two books in the acclaimed series, Sourceworks of Ceremonial Magic: (with Stephen Skinner) Sepher Raziel: Liber Salomonis, a Sixteenth-century English Grimoire (Singapore: Golden Hoard Press, 2010), and (with Calanit Nachshon) Liber Lunæ �C Book of the Moon �C Sepher ha-Levanah (Singapore: Golden Hoard Press, 2011; paperback edition, 2017). Karr also published the pioneering Approaching the Kabbalah of Maat (York Beach: Black Jackal Press, 2013), which contains a foreword by Colin Low. This is supplemented by Methods of Maat (forthcoming). The 2017 version of Karr’s “Notes on the Study of Merkabah Mysticism and Hekhalot Literature in English with an appendix on Jewish Magic” appears in Jewish Studies 52 (Jerusalem: Journal of the World Union of Jewish Studies, 2017), English section, pages 35-112. Karr contributed the article “Esotericism and Christian Kabbalah: 1480-1520,” the English version of “Ésotérisme et Kabbale chrétienne,” which appears in L'Époque de la Renaissance (1400-1600), Tome II: LA NOUVELLE CULTURE �C 1480-1520, edited by Eva Kushner [HISTOIRE COMPARÉE DES LITTÉRATURES DE LANGUES EUROPÉENNES, volume 30] (Budapest: Akadémiai Kiadó/Amsterdam: John Benjamins B. V., 2017). Ioannis Marathakis was born in 1973, in Athens, Greece. 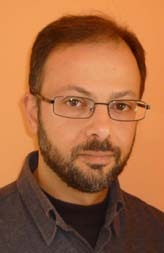 He has studied Theology at the National and Kapodistrian University of Athens, where he attended classes on the history of religion, history of philosophy, ancient Greek, Latin and Hebrew languages, as well as Byzantine literature and palaeography. As he was living in an environment where traditions such as the ‘evil eye’ and the ‘evil tongue’ still existed, he also developed an interest in the survival of such ancient notions and practices. The so called Solomonike, or magical books allegedly attributed to Solomon, was a field where many of his interests converged. To name but some, it had a connection to the Old Testament Pseudepigrapha, it was a major element of Greek folklore and, of course, the knowledge of Mediaeval Greek and Byzantine palaeography were absolute prerequisites for studying it. Since this was a book that nobody seemed to actually have seen, in his University years he turned his attention to the study of the relevant grimoires that had survived in the West. He finally tracked down the Magical Treatise, more than ten years later in 2004, and tried to formulate a critical edition together with an English translation, an attempt that proved to be futile, due to the diversity of the manuscripts. It was not until 2010 that he decided to reorganize his material and translate the various manuscripts separately, something that led to the present publication. In the meantime, he published in Greek a history of the Solomonic literature, Searching for the Key of Solomon (2007), a web article concerning the history of the invisibility spells, From the Ring of Gyges to the Black Cat Bone (2007), and an introduction to the Treatise, under the title A Source of the Key of Solomon: The Magic Treatise or Hygromancy or Epistle to Rehoboam, for the web magazine Primordial Traditions (2009).